Boyd ~ Winogene “Winnie” Mayfield, 81, a retired Paradise postal worker, went to be with our Lord Tuesday, February 5, 2019, in Fort Worth. 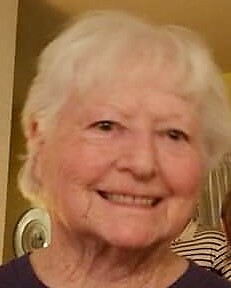 Funeral is 2:00 p.m. Sunday, February 10, 2019, at Boyd Church of Christ with burial in Aurora Cemetery. Family will receive friends 5-7 p.m. Saturday at Hawkins Funeral Home Chapel in Boyd. Mark Taylor will officiate. Pallbearers include Jack Stone, Kevin Stone, Joseph Gilbert, Robert Stone, Sebastian Davis, Sean Davis, Alex Stone, and Daniel Stone. Winnie was born December 3, 1937, to Brawley and Bonnie (Harris) Oates in Decatur. She was united in marriage to George D. Mayfield on June 4, 1968 in Fort Worth and were married 40 years until is passing in 2008. Winnie was a graduate of Northwest High School. She was also a longtime member of Boyd Church of Christ. She was preceded in death by her parents; her first husband, Jack Stone in 1966, and her second husband, George D. Mayfield in 2008; her sisters, Sadie Oates, and Beverly Oates; her son, Kevin Stone Sr. in 2009. Those left behind to cherish her memory are her daughters, Lanai Hanna of Boyd, Dorrie Mayfield and husband Allen Ransear of Azle, and Darla Davis and husband Gary of New Fairview; her sons, Jackie Stone and Debra Vechnak of Aurora, Doug Mayfield of Welch, Oklahoma, and Tim Mayfield of San Francisco, California; her 13 grandchildren; her 12 great-grandchildren; her brother, Bill Oates and wife Jean of Aurora; numerous nieces, nephews, and a host of friends.